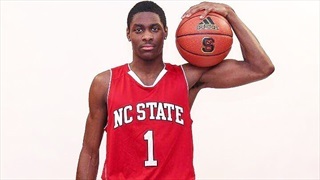 NC State has confirmed the signing of Massanutten Prep (VA) guard Dereon Seabron. 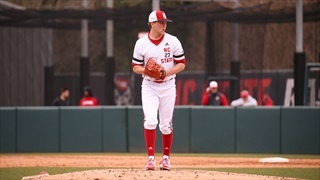 The second-ranked NC State baseball team suffered a doubleheader sweep on Saturday to No. 12 Louisville at Doak Field. The Wolfpack dropped game one, 14-10, and fell, 14-2, in game two. 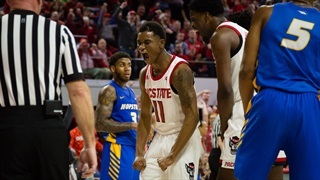 NC State men's basketball junior guard Markell Johnson will submit his name for consideration in the 2019 NBA Draft. 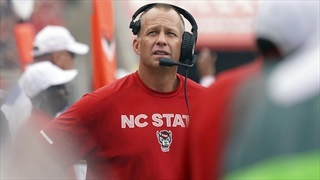 RALEIGH, N.C. – NC State has signed head football coach Dave Doeren to a new five-year contract through Dec. 31, 2023, the school announced today. No. 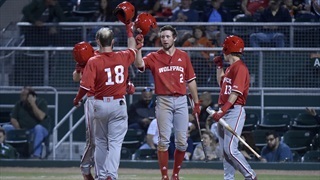 1 NC State baseball held off a late rally from the Miami Hurricanes Saturday night to earn a 7-6 win at Alex Rodriguez Park at Mark Light Field. 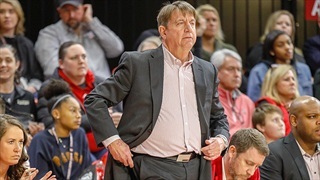 Head coach Wes Moore of the 10th-ranked NC State women's basketball team (26-5) has been named among four finalists for the 2019 Werner Ladder Naismith Women's Coach of the Year Award, the Atlanta Tipoff Club announced Thursday morning. 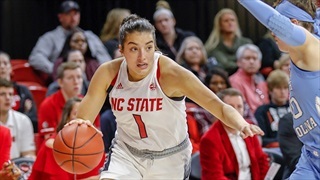 NC State is hosting NCAA Tournament games for the second straight season with the Wolfpack being tabbed the No. 3 seed in the Greensboro Regional. NC State junior Jason Parker has been named the ACC Pitcher of the Week, the conference announced Monday. BLACKSBURG, VA. – By placing six of its 10 wrestlers into the ACC Finals, and claiming three individual titles, the NC State wrestling team won the 2019 ACC Championship held in Blacksburg Saturday night. Graduate student Kiara Leslie and freshman Elissa Cunane of the No. 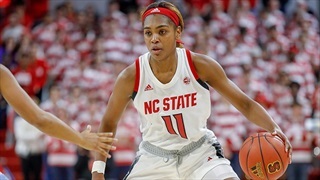 9/11 NC State women’s basketball team (25-4) earned high honors from the Atlantic Coast Conference on Tuesday afternoon. The NC State women's swimming and diving program won its second conference championship in three years as it powered its way to the team title at the 2019 ACC Championships. 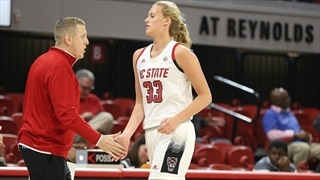 GREENSBORO, N.C. – Freshman center Elissa Cunane of the ninth-ranked NC State women’s basketball team (22-2, 9-2 ACC) has been named the Atlantic Coast Conference Rookie of the Week, the league office announced Monday afternoon.